In this Nov. 2, 2017 file photo, actor Johnny Depp poses at the world premiere of the film "Murder on the Orient Express", in London. 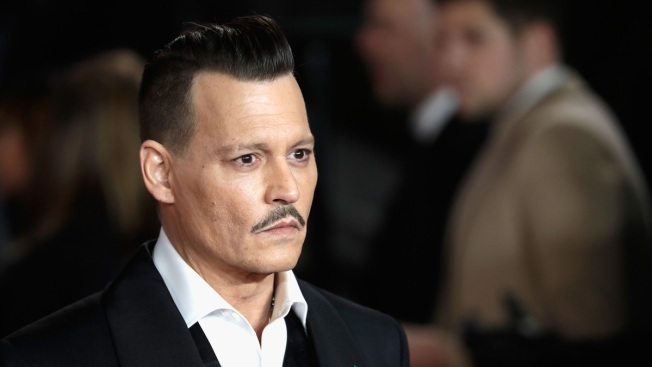 A film crew member is alleging in a lawsuit that Depp twice punched him on the Los Angeles set of a movie about the killing of the Notorious B.I.G. The suit filed Friday, July 6, 2018, in Los Angeles County Superior Court by location manager Gregg “Rocky” Brooks also claims that he was fired from the movie, “City of Lies,” when he refused to sign papers saying he wouldn’t sue over the incident. 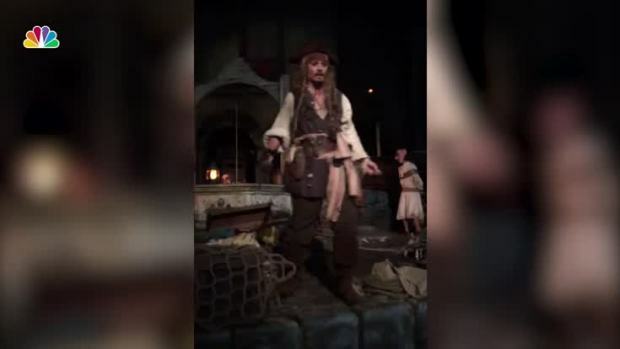 Johnny Depp gave Disneyland guests a bit more than they expected when the actor dressed as Captain Jack Sparrow for the resort's "Pirates of the Caribbean" ride. 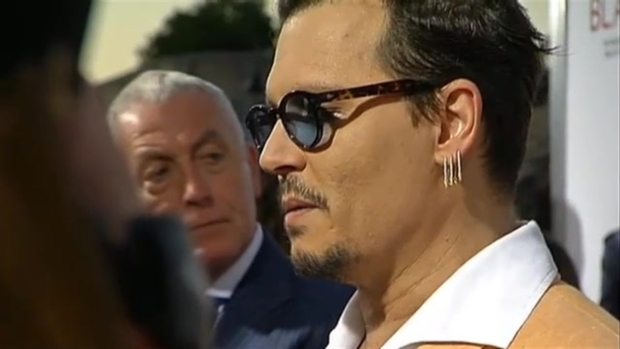 Johnny Depp and other cast members of "Black Mass" greeted fans and the media as they arrived in Brookline, Massachusetts, for the movie premiere. The actor who plays Boston gangster James "Whitey" Bulger says he was "really, really blown away" when stepping out of his trailer in full makeup for the first time.